Omnipresence is a meditation of Perry-Herrera’s co-creation with nature in this time of climate change. 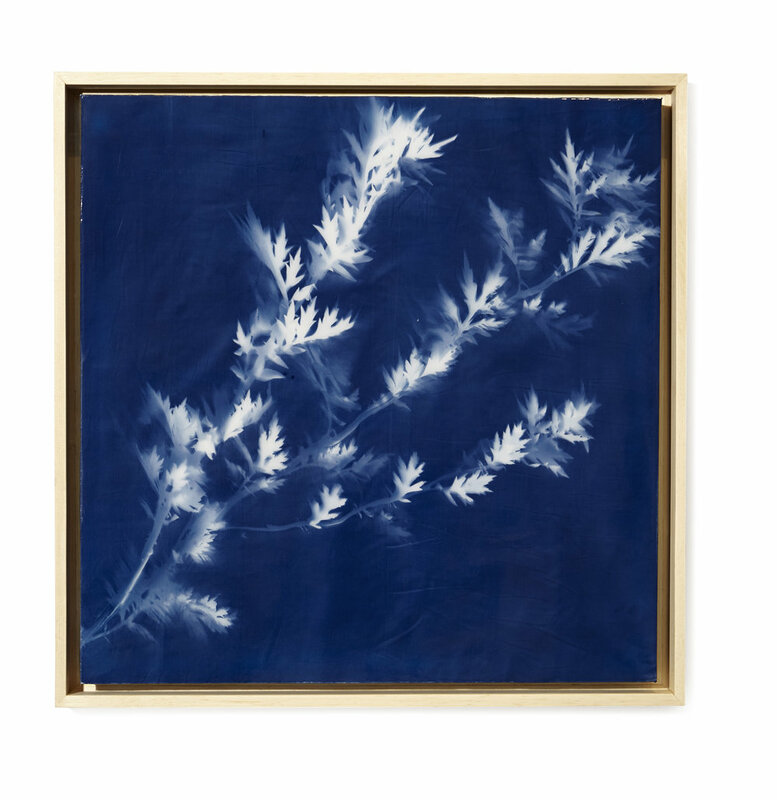 Her large-scale cyanotypes preserved in resin feature trees through the altered seasons. She presents the disappearing seasons of autumn and spring as synonymous to death and birth and equally as precious by seducing the viewer with their delicate, myopic, porcelain-like impressions. Winter, as consistently extending its season, is depicted as a long and farsighted landscape, and seeing the forest for the trees. Summer encounters violent storms that cause many young trees to fall before their time. Here, the artist prints the dying tree’s leaves to immortalize their present state. Perry-Herrera also investigates the balance of oxygen and carbon dioxide interexchange between humans and trees. Since trees provide us our oxygen rich air, that ultimately sustains human life, the artist links that fundamental and symbiotic connection back to our origin of consciousness. 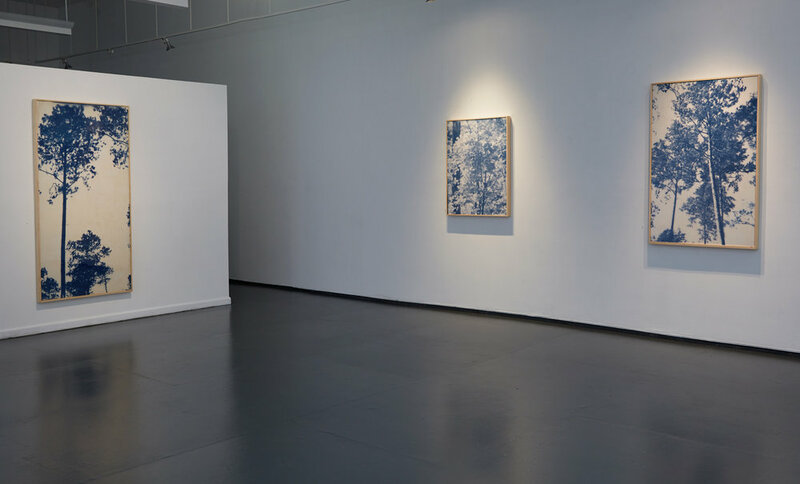 In collaboration with sound artist, Kotorbay, carefully curated recordings permeate the gallery space via small abstract pieces that are seen, and heard, to breathe. The abstract artworks were created during the artist’s meditation sittings in the sun. Through process, performance, ritual, visual art and sound, the exhibition is intended to be an immersive interdisciplinary experience that attempts empathic action toward positive environmental change. 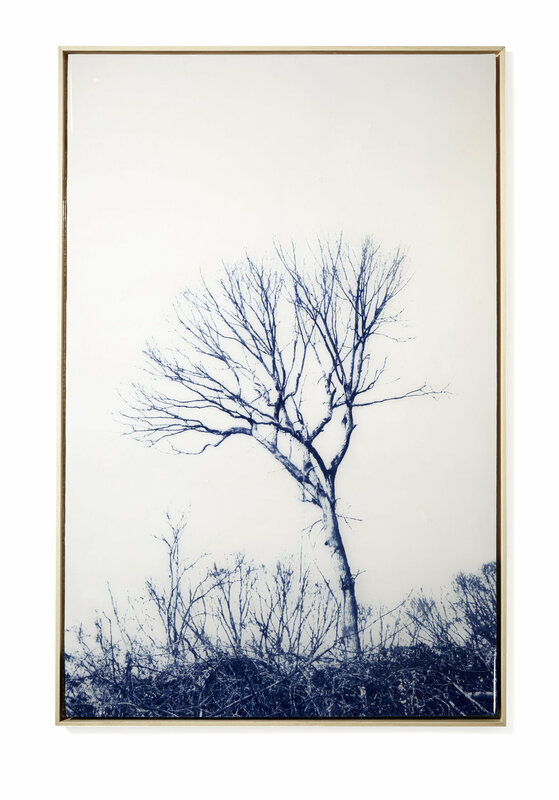 The work provokes the inquiry of imagining a world where trees are only a memory in a time when natural and man-made disasters deplete bucolic environments. 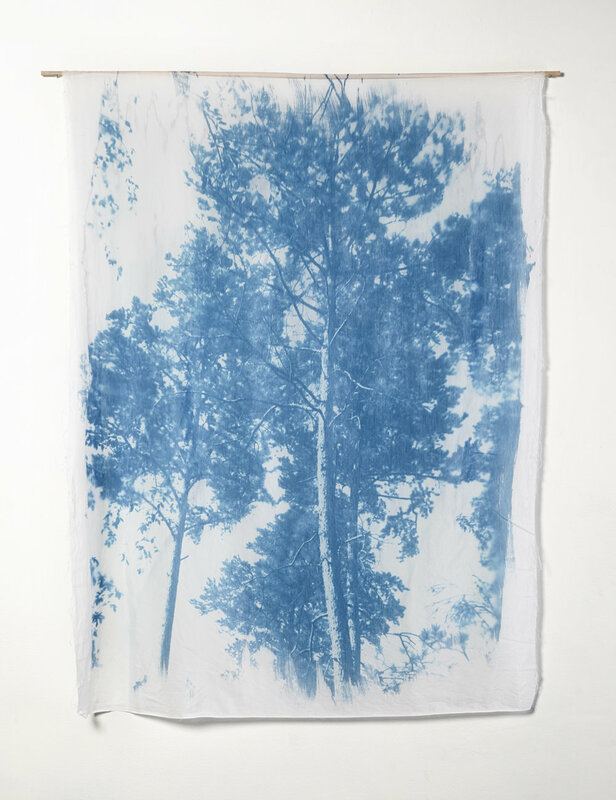 The artist uses cyanotype, an obsolete photographic process, that relies on the light of the sun to reproduce the various images that she collected from previous timber-felling research. 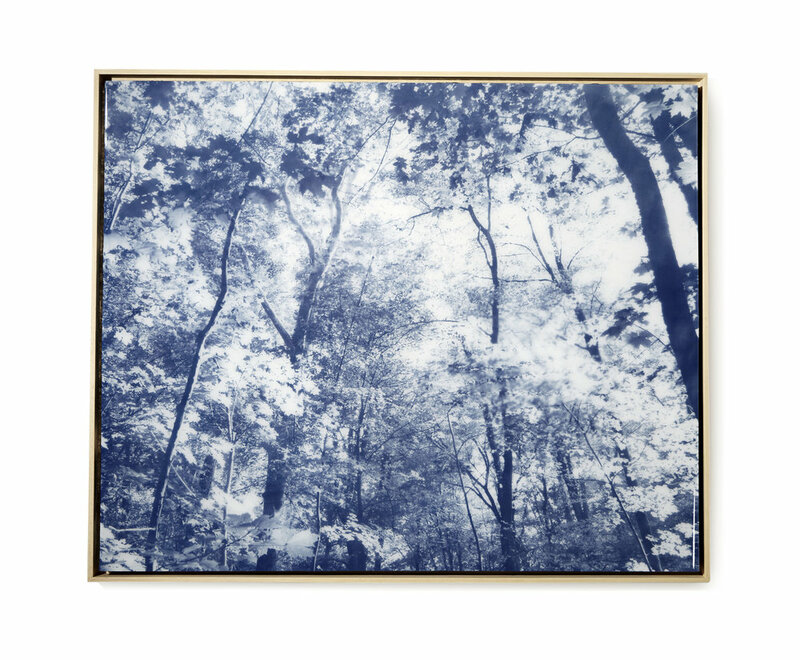 Adding to the preciousness of the trees, she preserves the cyanotype images in resin. 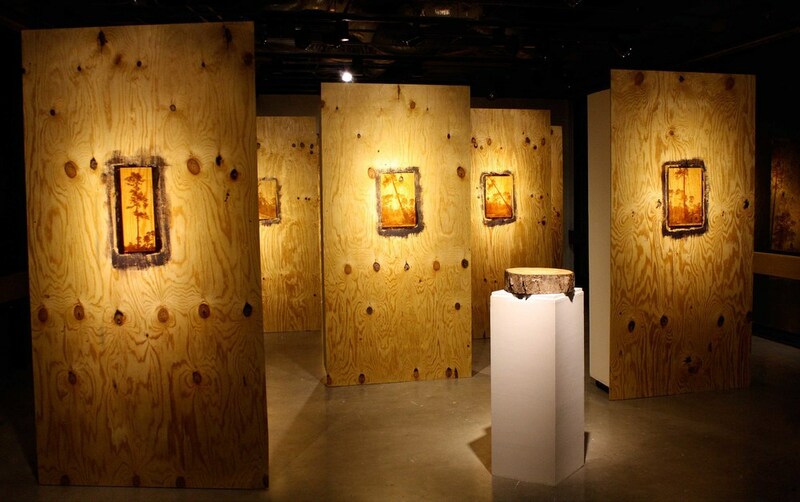 The plywood panels on which the tree images were printed on, were tracked directly from the same logging site that the trees originated from. The installation features an image of a tree in the felling process addressing concerns of deforestation as a "memory" of the trees. Three transparent black & white photographs suspended from ceiling. Each photograph is a different view of the El Paso-Juarez border (U.S.A. and Mexico). The work is illuminated with back-light to merge the images into a single multi-dimensional image. 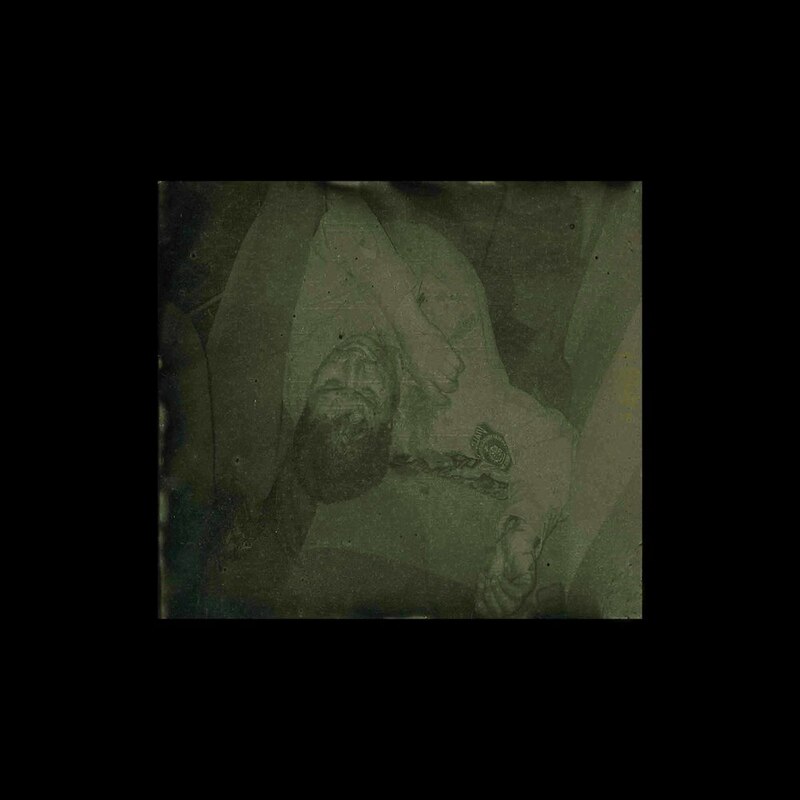 In this series, evidence of life translates into coronal discharges and photographed with high-voltage electricity. 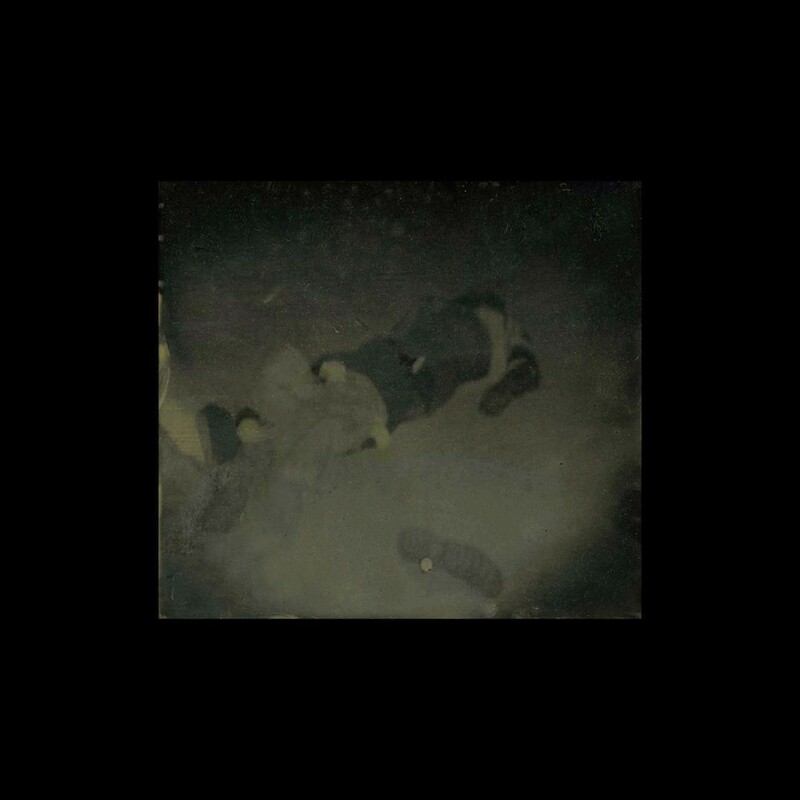 These obscure photographs of Juarez, Mexico murders are real crime-scene images that are meant to resemble antique civil war postmortem photography. The artist's intention for this series is not only as documentation of what has recently occurred in contemporary Juarez, but also as homage to the victims read about in yesterday’s news. 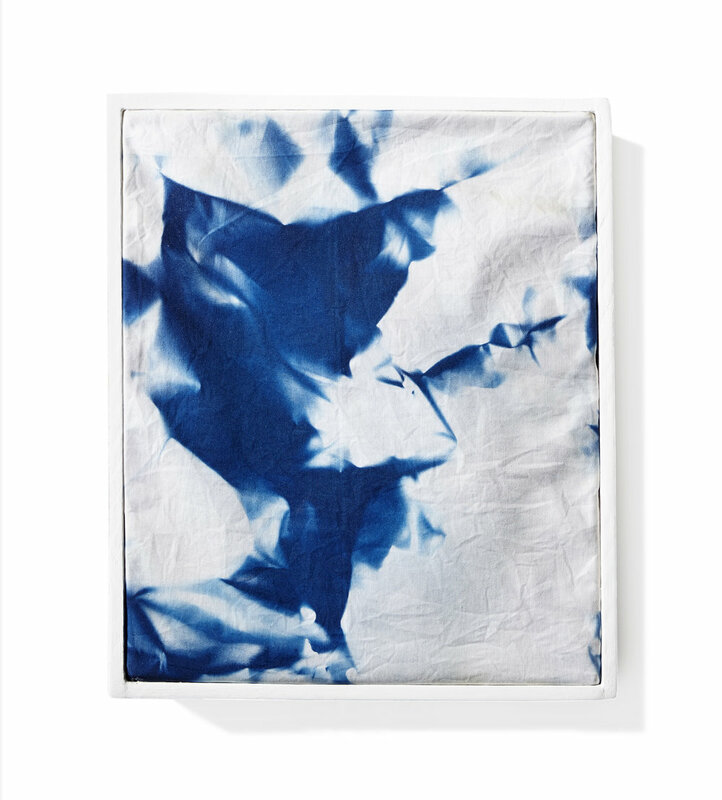 The sleep series are photograms where the artist took a nap for 20 min in sunlight on cyanotype-coated piece of fabric to record her body's movements during sleep. Each piece was created per day during a period of seven days in a performative act. The questions of our human existence on this planet come from the stars. As we discover more about the "micro-universe" of our own bodies, we also uncover many answers about our "outer universe" in space. In this series of paintings, the artist attempts to note the physical similarities between galactic images of nebulas and those seen in microbiology as she creates images with negative scans of oil on glass.